Several drama schools have recently developed or acquired shiny new buildings. Last year, for example, LAMDA opened its £28.2 million extension along London’s Talgarth Road, which includes two impressive theatres. 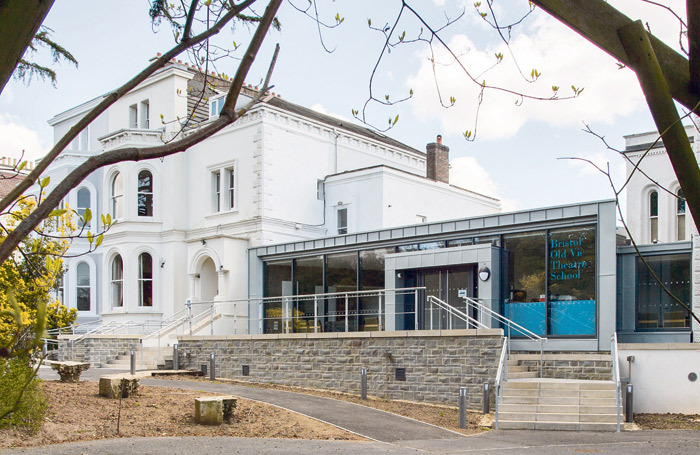 This year, East 15 has undergone a £2 million refurbishment , providing a new library and common room to replace ramshackle previous extensions. 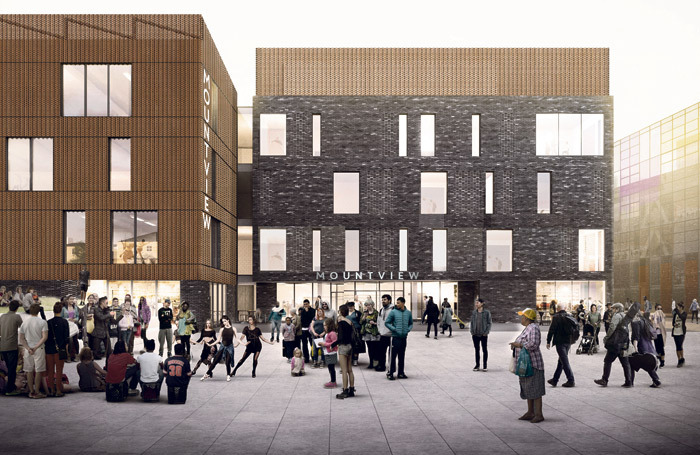 The Royal Central School of Speech and Drama is due to open its £16.7 million North Block  early in 2019. Most dramatically of all, this term Mountview has relocated across London from Wood Green to Peckham , where it now occupies a spacious, purpose-built three-storey site with two theatres, 21 studios, technical theatre teaching facilities, a cafe, space to hire, plenty of offices and lots more, including masses of scope for community activities. The overall cost is £27.8 million. The London Borough of Southwark has financed the building with a £21 million, low-interest loan and a further £6 million grant. Mountview is raising the balance through donations, trusts and foundations. But how much do buildings actually matter? Do they really affect the quality of the training? “Our new building has enabled us to bring the entire school under one roof, which is already having a huge impact on the cultural cohesion of the students and staff because it blends teaching space and public space,” says principal Stephen Jameson. “It ensures that each of our students will have first-hand experience of being a working actor in a large cultural space.” He also believes that students’ proximity to professional companies using the building will “set a professional standard and raise aspirations”. Paul Rummer, principal of Bristol Old Vic Theatre School , which recently developed a link building to unite the two large Georgian houses it occupies, argues: “Buildings matter in terms of their location as well as what’s in them.” Like George Peck, founder principal of Oxford School of Drama, Rummer regards access to a wide and varied range of performance spaces as crucial to good training. Bristol students present shows at professional venues including Bristol Old Vic, Tobacco Factory and Wardrobe Theatre, as well as touring to other West Country venues. “To prepare students for the demands of the industry, whatever their specific course and career ambition, the buildings in which they learn and train must replicate professional practice as closely as possible,” Rummer says. Annemarie Lewis Thomas, founder principal of the Musical Theatre Academy , based at the Bernie Grant Arts Centre in Tottenham, is even more forthright. The MTA has a strict rule that everyone who teaches at the school must also be active professionally in the industry. “You need the teaching to be progressive and state-of-the-art (or rather current) for the training to really matter,” she says. “We would rather invest in people than in bricks and mortar.” The college, which restricts itself to 44 students and only one course, has six rehearsal rooms of various sizes. Of course, all drama schools make the best of the space they have. One of Rose Bruford College ’s unique selling points, for example, is that it is both rural and in the London suburbs – in Sidcup. Although Rose Bruford hasn’t had an on-site building programme for a while, it has adapted its spaces and teaching facilities to create disability access. Shows are staged in its on-campus 300-seat theatre, its two black-box theatres or during the annual London season at Stratford Circus. Buildings are important. The whole training industry wants students to be safe – both physically and mentally. They also need access to decent facilities such as plenty of toilets, a good library and ample studio or rehearsal space. But, above all, if they are to have any chance of success in this competitive industry, students also need the best, most experienced, most up-to-date teachers money can buy along with as much real-life performance experience as possible.